The Exeter is a 2 in 1! It is a mirror and it is a candle sconce. It's tall rectangular frame is mirrored with an ice blue mirrored border. It then has a shelf that holds a glass candle holder. Holder fits up to a 3 pillar candle. Each mirrored panel is beveled adding to its beauty and style. 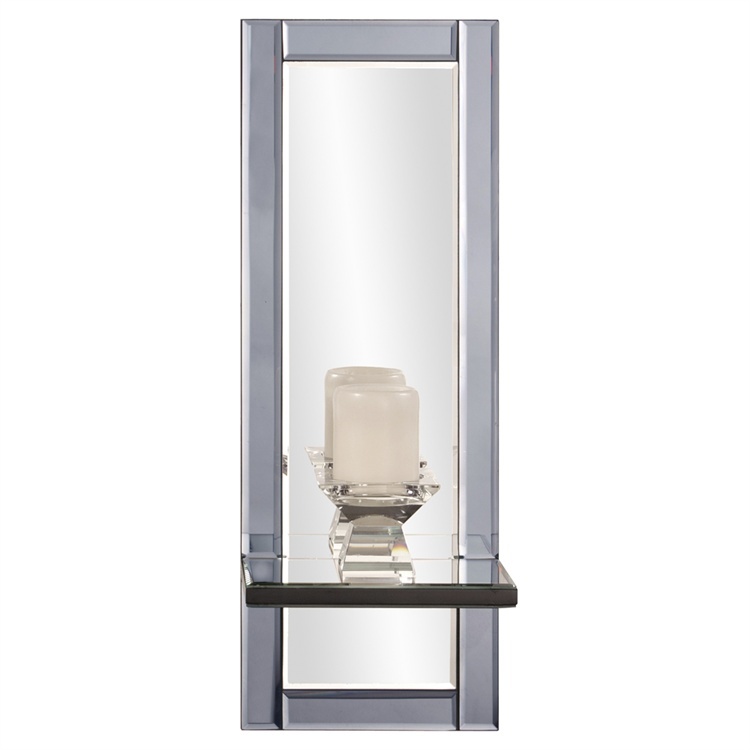 Mirrored sconces offer the most amazing displays of light and reflection. It amplifies the light of the candle setting a relaxing, romantic vibe throughout. Customizable for larger orders.